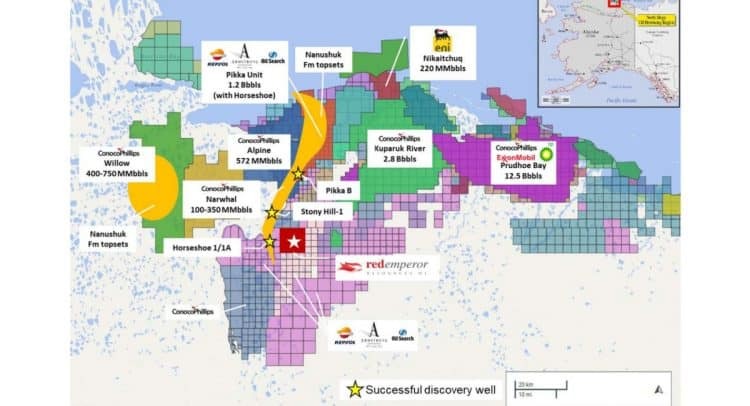 88 Energy (ASX/AIM: 88E), in its capacity as consortium operator, has advised Red Emperor that Winx-1 has been successfully plugged and abandoned with the rig and crew having fully demobilised and no longer on site. We would like to thank 88E for drilling the well on time and without incident in a very challenging environment. Indications are that the well has come in on or slightly under budget. 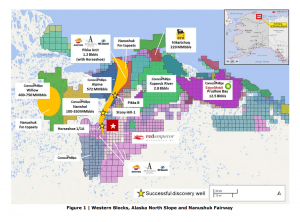 RMP would like to reiterate its forward plan to further evaluate and integrate the valuable data acquired at Winx-1, as well as potentially reprocess the Nanuq 3D seismic (2004), in order to evaluate the remaining Nanushuk prospectivity on the Western Leases. There are several working theories that will be assessed over the coming months, including whether there is potential for better developed sands updip and in closer proximity to the successful Horseshoe-1/1A and Stony Hill-1 wells (Figure 1). RMP is financially well placed to proceed with its evaluation plans for the Western Blocks and continue its ongoing evaluation of other opportunities, with a current cash balance of approximately AUD $4.6 million (excluding the refund associated with the performance bond). The process for the refund of the performance bond (RMP share USD$1.05 million) has begun, now that all obligations associated with it have been met.